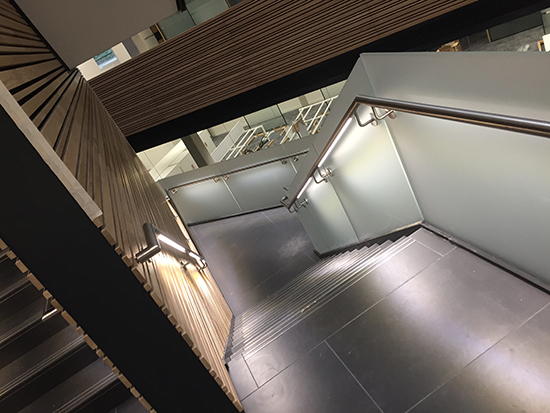 The Big Data Institute (BDI) is a state of the art building at Oxford University’s Old Road Campus. Set to open in 2017 the research centre will look into the causes and consequences, prevention and treatment of disease. Once complete, the BDI will accommodate 522 staff and bring together world-leading researchers. The pioneering data centre will store, analyse and process vast amounts of health-related digital data with the aim of providing new insights into illnesses and treatments worldwide. 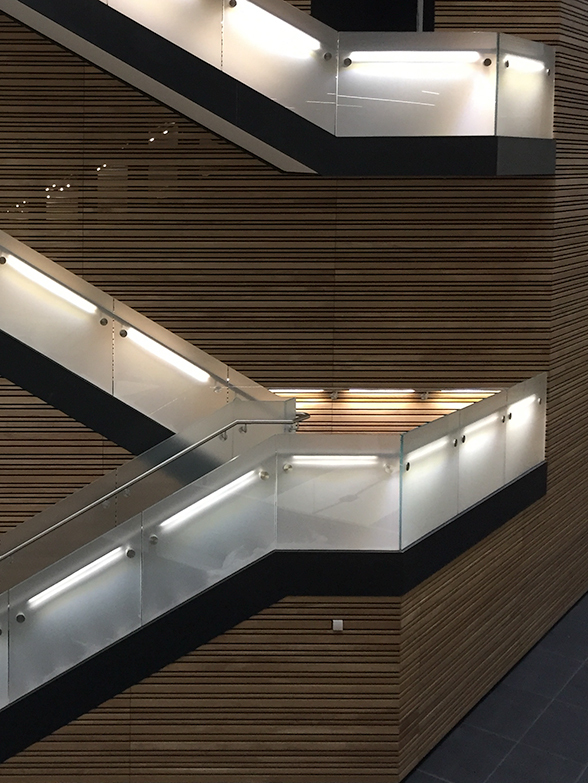 Kite Glass is proud to have worked with Delta Fabrications to bring aesthetically pleasing and structurally safe stairways and balustrades to the new multidisciplinary research centre. We provided 16.89mm, 20.89mm, 21.5mm and 25.5mm heat soaked SentryGlas® covering 141m2, 62m2, 21m2 and 50m2 respectively. Kite Glass was one of the first in the UK market to successfully process this product and has been doing so since 2006, and is therefore recognised by Kuraray as an officially approved supplier of SentryGlas®. For more information, click here.